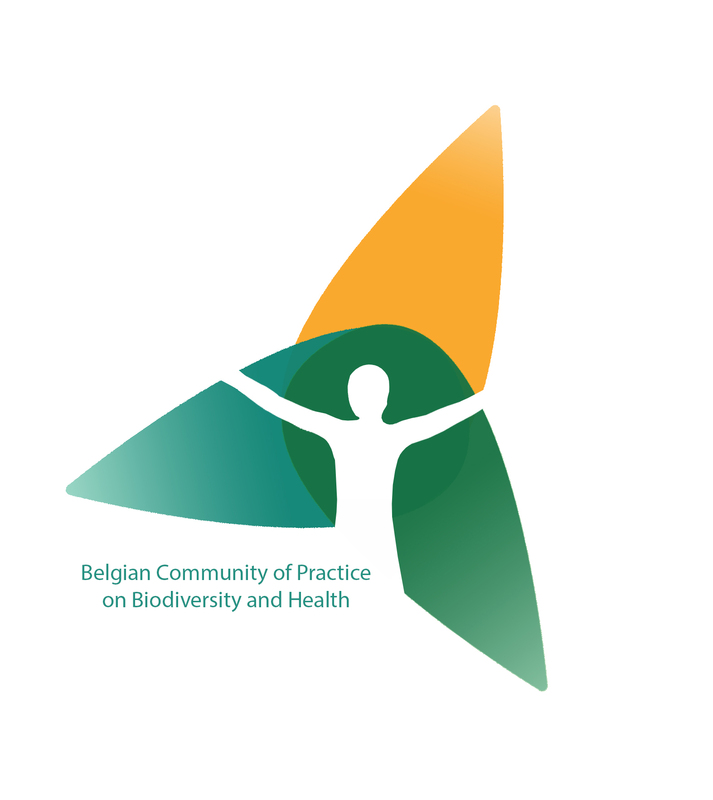 5 | Training in "eco-psychology"
The Belgian Community of Practice on Biodiversity & Health (COPBH) welcomes you on its new website. The community gathers experts from a diversity of fields: natural and social scientists, policy-makers, practitioners and other stakeholders. You can now access our Project Map, our Publications, Events, and our Newsletters. 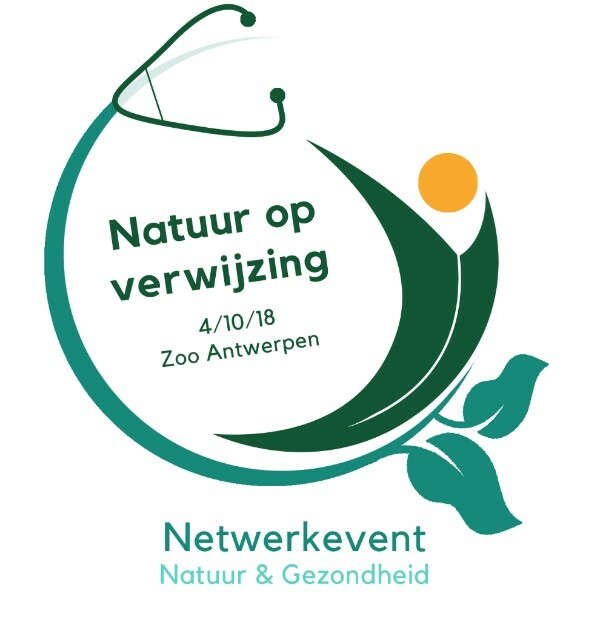 The Nature-Health network event ‘Natuur op verwijzing’ will take place on 4 October 2018 in Antwerp (in Dutch). The meeting will be an opportunity for capacity building, networking and collaborations among professionals in the health and nature sectors. Professionals from other sectors are also welcome. The program includes lectures, workshops, walks, networking, open space, a market (with different types of initiatives from research, policy, and practice) and a panel with high level participants. 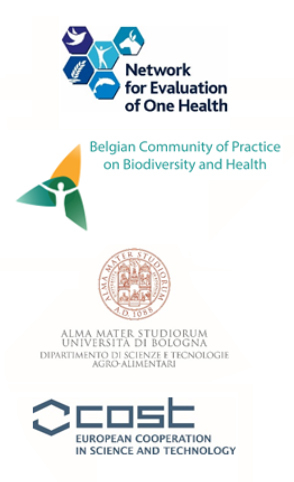 The event is organised by the University of Antwerp, the Province of Antwerp and the Belgian Community of Practice Biodiversity and Health, as well as many other organisations. This is the closing event of the project Green Light and related to the Chair on Care and the natural living environment of the Department of Primary & Interdisciplinary Care from the University of Antwerp. The event is also a follow-up of the 2016 European OneHealth/EcoHealth workshop. Where? Elisabethzaal next to the Antwerp Zoo. Registration for participants: by 15 July 2018. Registration for a market stand: by 25 June 2018. For more information, please contact Dr Hans Keune. On 28 March 2018, the Chair on Care and the natural living environment of the Department of Primary & Interdisciplinary Care from the University of Antwerp was inaugurated. Here you can find the presentations and photos of the meeting. The Unit “Health Impact Assessment” of Sciensano will soon publish a job offer to work on the NAMED (Nature impact on mental health distribution) project. NAMED aims to study the relationships between (non-)built environments and mental health in the Brussels region. It includes a “quantitative part” relying on the coupling of data from the Health Interview Surveys (HIS) with several environmental indicators and a “qualitative part” during which inhabitants, local stakeholders, experts are consulted using interviews, focus groups, etc. This project, funded by BELSPO, is carried out in partnership with four other organizations: Own-Capital Research Institute for Nature and Forest (EV-INBO), Université catholique de Louvain (UCL), University of Antwerp (UA) - Primary and Interdisciplinary Care and University of Hasselt (UH). The hired person will mainly work on the “quantitative part”, analysing the relationships between built, non-built environments and mental health, taking into account demographic, socioeconomic factors, lifestyle but also the impact of air pollution and noise. He/she will more generally contribute to the smooth coordination of the project, take part to the project meetings, be partly responsible for reports drafting, etc. Desired profile: Master in biostatistics or epidemiology with strong experience in the analysis of large health databases. Are you interested? Would you like more information? Please contact Hans Keune or Ariane Guilbert. In 2019, Terre & Conscience will organise two trainings in eco-psychology: the next two editions will begin in February 2019 and end in December 2019. It will be a 28-day training, including 7 days of immersion in nature during the summer. The organiser still need to collect lessons learned from the first edition, which will be available in June 2018. The financial model will include, as for the first edition, a fixed part and a part with conscious participation. The modalities of inclusion in the training will be specified to you as soon as they are decided. Registration will be via Earth and Awareness (Terre et Conscience). Access all information here, in French. The EU COST funded project "Network for Evaluation of One Health" (NEOH), with around 240 members, alongside other initiatives has helped to generate considerable interest and excitement about One Health in Europe. The members of NEOH and some befriended organisations such as the Belgian Community of Practice on Biodiversity & Health (COPBH) would like to build this momentum into a sustainable One Health Organisation that will be situated in Europe, but will have worldwide membership and activities. It is our goal that this new organisation should be useful and valued by people working in One Health, Ecohealth and related fields. For this reason we have developed a questionnaire to collect ideas about useful activities from people who are involved in these fields. We cordially invite you to complete the questionnaire. It is quite short and should not take more than 5 to 10 minutes to complete. The questionnaire will close on 30 June 2018. Please feel free to distribute this questionnaire further in your national and international networks, as we would like to reach as many people as possible. If you have any questions, please contact John Berezowski. The EU COST funded project Network for Evaluation of One Health (NEOH), the Department of Agricultural and Food Sciences (DISTAL) of the University of Bologna and the Belgian Community of Practice Biodiversity and Health are organising the European conference Creating impact for One Health and Ecohealth: advancements in implementation, evaluation, and governance. The aim of the conference is to explore how EcoHealth and One Health approaches are being evaluated and implemented in practice, to learn about changes in institutional and regulatory structures at national and international levels and to discuss how the process of translating science into practice can be promoted further. The conference builds on the 2016 European OneHealth/EcoHealth workshop in Brussels. The call for posters is open until 31 July 2018. Registration for participants will open soon: please check the website regularly. Public health systems have critical and clear relevance to the World Bank’s twin goals of poverty eradication and boosting shared prosperity. In particular, they are impacted by, and must respond to, significant threats at human-animal-environment interface. Most obvious are the diseases shared between humans and animals (“zoonotic” diseases), which comprise more than 60 percent of known human infectious pathogens; but also aspects of vector-borne disease, food and water safety and security, and antimicrobial resistance. Public health systems must therefore be resilient and prepared to face existing and future disease threats at the human-animal-environment interface. the Operational Framework provides a strong orientation to One Health to assist users in understanding and implementing it, from rationale to concrete guidance for its application. 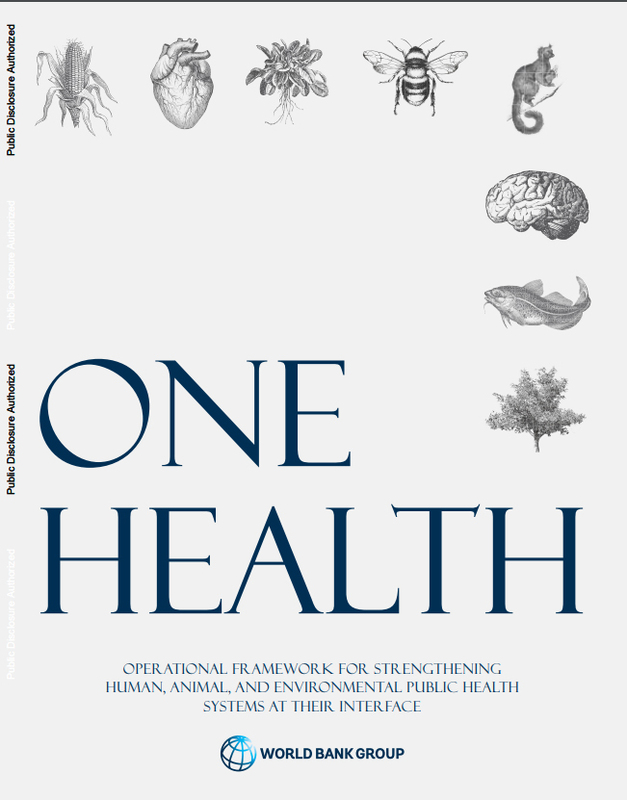 Six core chapters are included, supported by annexes diving deeper into operational tools and recent World Bank alignment with One Health topics, and a glossary that explains key terms, including interpretations specific to the Operational Framework. This report represents years of work from both World Bank staff and collaborators who have contributed sections, reviewed, edited, participated in consultations, and provided support in all possible ways toward the completion of this project. 1. How is the relation between nature & human health part of your work/activities? I am a family doctor and work as a TRANSITION-doctor. From my love for the planet and its inhabitants, I want to contribute to a transition to a new paradigm, inspired by the transition movement that was founded in 2006 in Totnes by Rob Hopkins. We are natural beings in an eco-system, our health depends on the respect we have for our inner nature and the healthy interactions we have with the surrounding nature. The motor of this eco-system is the care we have for the whole and it is no longer an ”economy of growth“ which is responsible for gigantic destruction. 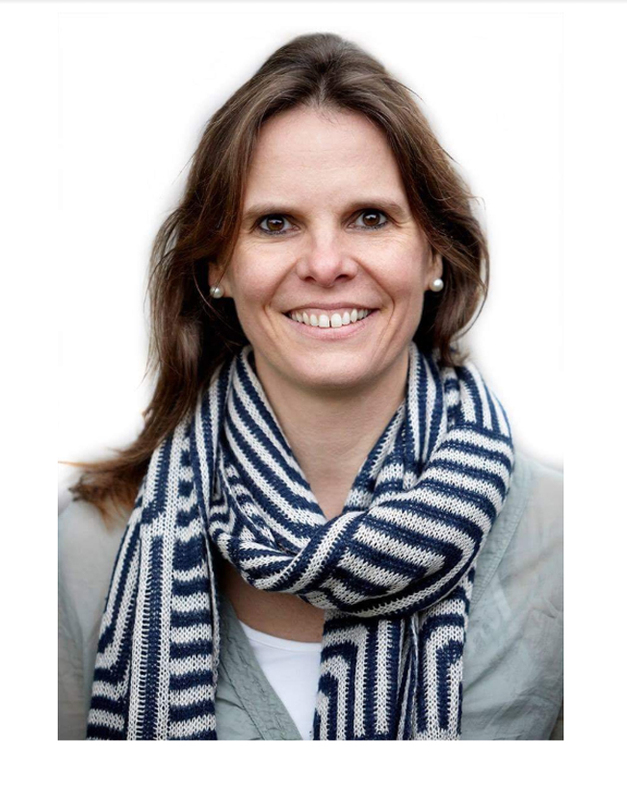 In our work as a family doctor we are confronted with the consequences on a daily base, many diseases have a direct relation with the system that was brought out of balance and the loss of connection. We leave the previous paradigm with its mechanic and materialistic man-and worldview and enter the new paradigm where we CARE for our NATURE. How important is collaboration between different groups in networks like the Belgian Community of Practice Biodiversity & Health? Where would you like the work on nature-health linkages to be in a few years? That there would be clarity and general consensus on the new paradigm. That a new economic system also provides a living for all people who work to realize this transition. That a lot of networks cooperate to create this local, resilient societies that are healthy for all the inhabitants and the planet. That there is scientific proof of the positive effects of this transition on the health and vitality of the societies, nature and the individuals. © 2018 Belgian Biodiversity Platform, All rights reserved. “Biodiversity & Health Newsletter” is published whenever the need arises to inform the Belgian and international community on new developments in OneHealth and EcoHealth research, practice and policy-making. 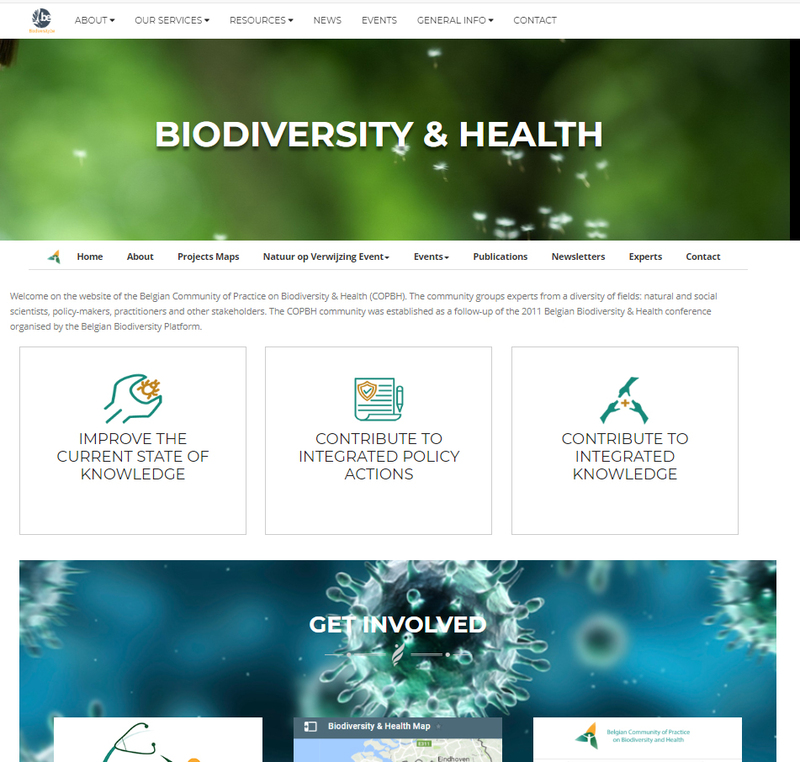 The Community of Practice on Biodiversity & Health (COPBH) network is supported by the Belgian Biodiversity Platform. If you wish to subscribe/unsubscribe to the COPBH Newsletter, please contact us. To get more news, follow the Belgian Biodiversity Platform on Twitter or consult our news section updated on a weekly basis.